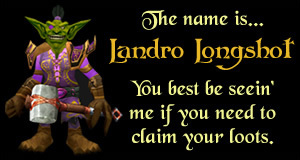 Patch 5.2 dropped yesterday, which means the Betrayal of the Guardian loot items are now available on live servers. 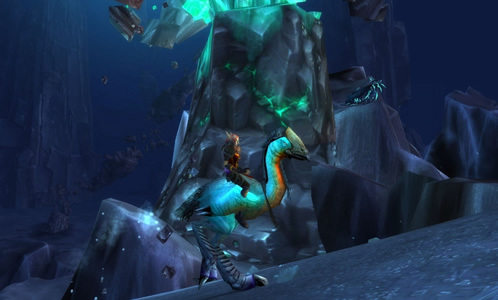 Here's a preview of the amazing new flying mount, the Ghastly Charger - along with a look at the Dark Portal loot. 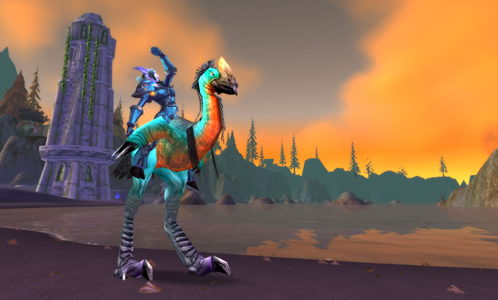 The Ghastly Charger is a new flying mount obtained from the Ghostly Charger loot card. The Dark Portal is a hearthstone alternative, which is the reward from the Dark Portal Hearthstone loot card. Betrayal of the Guardian is set to be released in just a few short weeks, on February 22nd. Included in this new expansion is, of course, a very rare mount loot card...Ghostly Charger. As with mostly all of the epic WoW TCG mount loot cards, the Ghostly Charger loot card is a very rare pull - included in only 1 out of 242 booster packs. The Ghostly Charger binds to your entire account, so all of your toons will be able to enjoy this awesome spectral steed - provided they're at least level 20 & trained in Apprentice Riding. The next WoW TCG expansion, Timewalkers: War of the Ancients, is set to release in just over a week - on Tuesday, October 2nd. 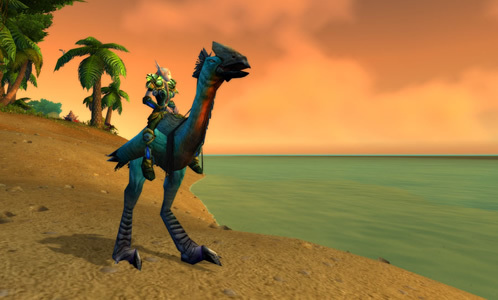 As with all recent expansions to the WoW TCG, War of the Ancients will contain 3 new loot items - including an epic flying mount. The epic flyer contained in War of the Ancients is the Feldrake. 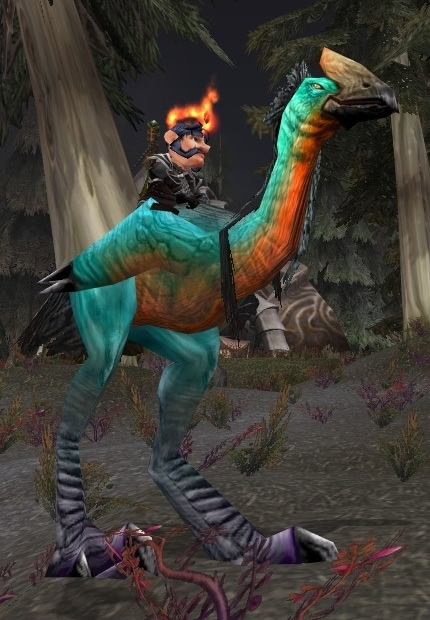 Screenshots of this new mount have been scarce, but even better...I came across a really nice video of this new mount in action. 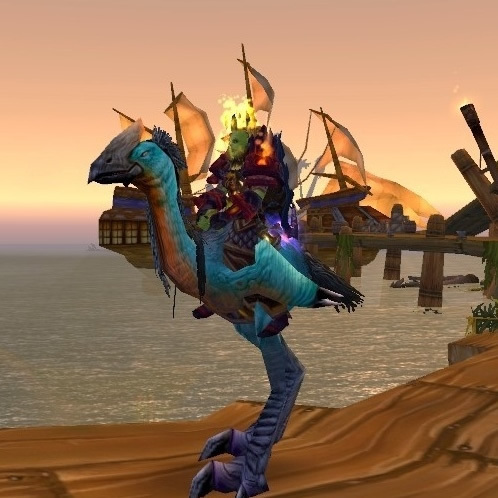 It's nothing fancy, but you get to watch a forsaken character traipse around the River's Heart in Sholazar Basin, riding atop his sparkly new Swift Shorestrider. 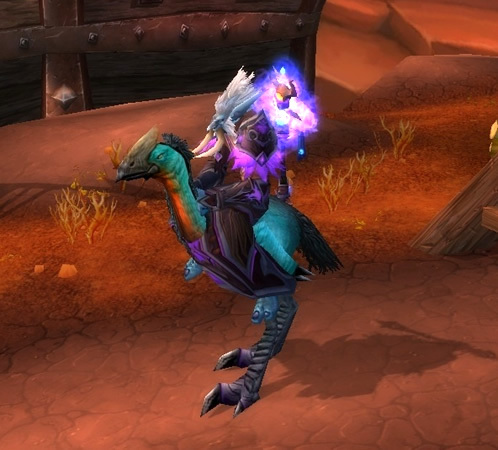 The mount is really pretty cool looking. 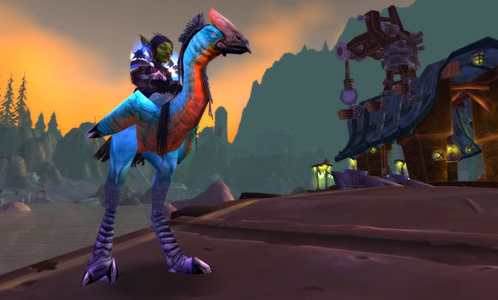 I think a fancy saddle of some sort would have been a nice touch, but oh well...a turquoise tallstrider still makes for a pretty flashy and premium mount. The Wasteland Tallstrider loot cards are still selling for under $100, but as I'd mentioned in yesterday's Swift Shorestrider image preview post, I'm willing to bet they'll be closer to $150 by mid-December. Visit the Wasteland Tallstrider loot card page to see some current listings on ebay.